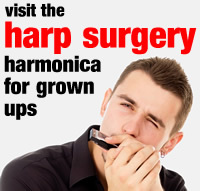 Providing harmonica lessons may be a relatively risk-free activity, but we still take Safety Management very seriously. Harp Academy sets child safety and security right at the top of its operating agenda. Operating music lessons for Schools in Sussex County means we work within three separate Local Education Authorities (LEAs): Brighton & Hove, West Sussex and East Sussex. Our teaching staff hold enhanced disclosure DBS certification that is valid for all three LEAs. Our DBS applications are processed independently by Safety Net, a National Registered Umbrella Body for the Disclosure and Barring Service based in Portslade. Working in public means we must be insured. Each of our teachers carry their own PLI with a minimum £10 Million cover. For many of our team, this comes as part of their Musicians Union (MU) membership. We have taken time to consider the risks involved in teaching harmonica and these are set out in our Generic Risk Assessment. A copy is available on request. Harp Academy has its own Child Protection Policy. It also abides by the policies of the Schools in which it operates. Our teachers understand their duty of care to the children they teach. This includes an awareness of the signs of child abuse and emotional trauma, and how to report any such occurrences in a professional and responsible manner. All Harp Academy employees are required to successfully pass the NSPCC programme of Child Protection Awareness. A copy of their certification is held on file. Our Policy also encompasses the safe operation of lessons from registration and the teaching environment, to evacuation procedures, first aid support, the summoning of emergency assistance, and the secure visual and verbal return of children to their parent, carer or school staff at the end of each lesson. While teaching, the Harp Academy team is aware of its duty of care to students in its charge. We do stress however, that the burden of ensuring that children turn up on time, engage in their lessons and bring their equipment is shared with the staff of the Schools in which we teach and with the children’s parents. With this in mind, we ask that you please read through our Terms & Conditions.